Always Keep All of Your Email on Hand! Imagine the following scenario: You’re sitting in a meeting and need some important information that one of your business partners emailed you a long time ago. You try to find the email in question using your smartphone, but you can’t seem to locate it. If this scenario sounds familiar to you, you should definitely keep reading! Work is becoming more flexible and less dependent on location. 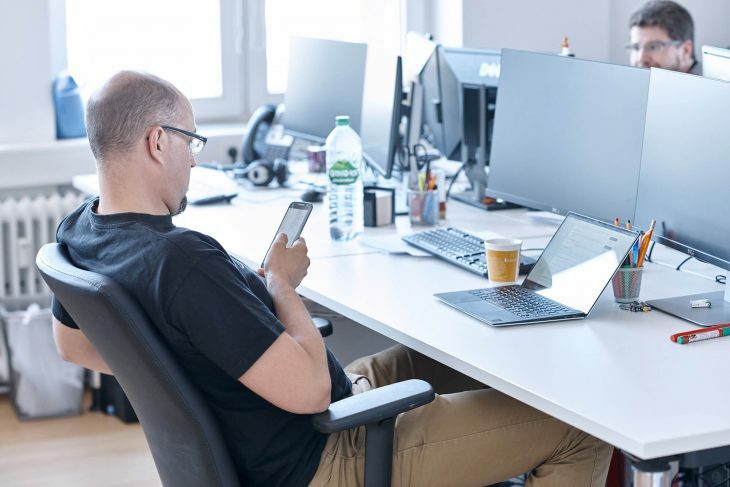 In the past, it was mainly sales employees who required access to company resources when they were on the go; nowadays, though, employees from virtually all departments need to be able to access important business information outside of the office. Email plays an important role here: It often contains information required to initiate, conclude, or withdraw a transaction. When users turn to MailStore Server for email archiving, they benefit from a lack of mailbox quotas and secure, mobile access to all of their emails. Thanks to MailStore Web Access, which has been responsive and encrypted since Version 10.2, users can access all archived emails that they have ever sent or received. Responsive Web access enables quick access to the archive through the preferred Internet browser on any device, whether it be a notebook, desktop PC, tablet, or smartphone. Important functions such as searching and displaying archived emails can thus be carried out irrespective of the system and without the installation of additional software. Moreover, this enables users accessing the archive from a mobile device to move or even delete emails within the archive, depending on their specific permissions. This means that users on mobile devices can take full advantage of the functions offered by the Web interface. Another option to access and search through emails, even ones that users sent or received years back, is provided through access to the email archive via the integrated IMAP server. This enables read-only access to the MailStore archive using any IMAP enabled email client. As such, this represents a convenient way for many other email clients across all operating systems (such as Mac OS or Linux) and mobile platforms (such as Android, iOS, or Blackberry) to access an email archive. When it comes to finding and accessing important business information contained in a particular email, the MailStore email archive can represent an important competitive advantage. After all, users can easily search through, find, and access archives, as well as the email contained therein. This means that required information is available in the blink of an eye – far more quickly than when users need to directly access old emails from the email server with the help of conventional clients. Find out how to access the email archive using MailStore Web Access here. Information about the integrated IMAP server as well as the prerequisites for using and setting up mobile devices is available here. If you would like to test MailStore Server, you can get a free trial license here.